Giving out a hint of the continental climate of the country, Mongolian cuisine primarily consists of dairy products, meat, and animal fats. It also shows an influence of Chinese and Russian cuisine. 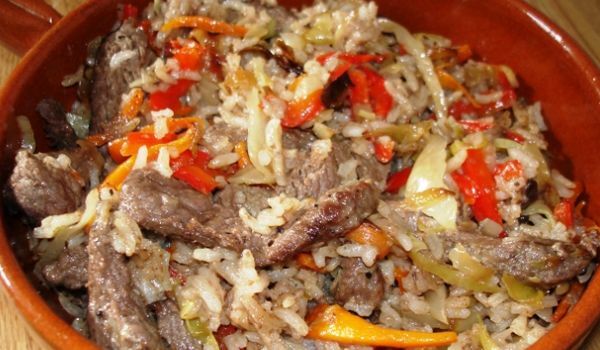 In this section, we will help you explore some delicious and easy Mongolian food recipes. 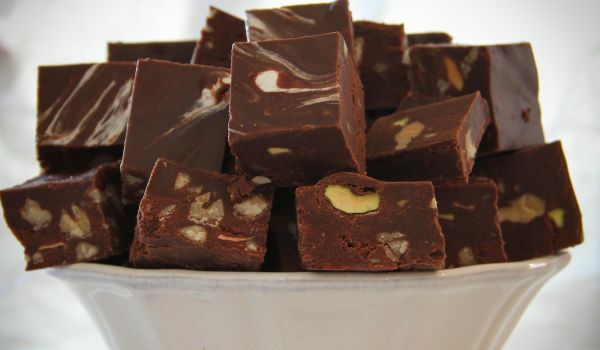 Mongolian Fudge is a delicious and lip-smacking dessert. Learn how to make/prepare Mongolian Fudge by following this easy recipe. 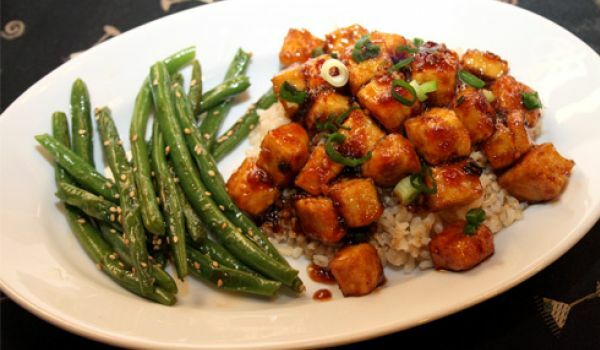 Mongolian Chicken is a very popular recipe. Learn how to make/prepare Mongolian Chicken by following this easy recipe. Bantam is a very popular recipe. Learn how to make/prepare Bantam by following this easy recipe. Apple Crumble is a perfect delight after an appetizing meal. Learn how to make/prepare Apple Crumble by following this easy recipe. Huushuur are delicious and scrumptious fried meat patties. Learn how to make/prepare Huushuur by following this easy recipe. Fried Booz is a very popular recipe. Learn how to make/prepare Fried Booz by following this easy recipe. Lamb and Eggplant Salad is a warm and enticing appetizer. Learn how to make/prepare Lamb and Eggplant Salad by following this easy recipe. 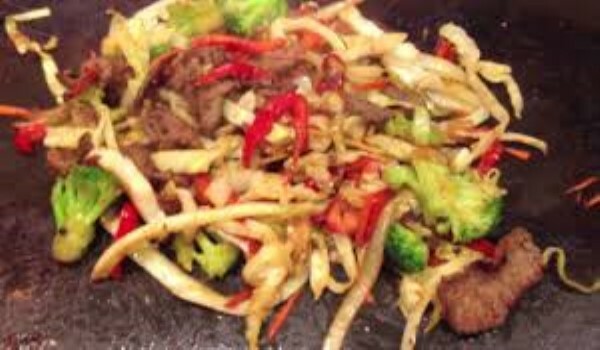 Mongolian Barbecue is a very popular recipe. Learn how to make/prepare Mongolian Barbecue by following this easy recipe. Bansh is a very popular recipe. Learn How To Make Bansh by following this easy recipe. Boortsog is a very popular recipe. Learn how to make/prepare Boortsog by following this easy recipe. Peanut Butter Banana Bread is healthy and delicious bread that can be served for breakfast and as a snack. Learn how to make/prepare Peanut Butter Banana Bread by following this easy recipe. Budaatai Khuurga is a very popular recipe. Learn how to make/prepare Budaatai Khuurga by following this easy recipe. Mongolian Beef Sandwiches make a perfect picnic snack. Learn how to make/prepare Mongolian Beef Sandwiches by following this easy recipe. 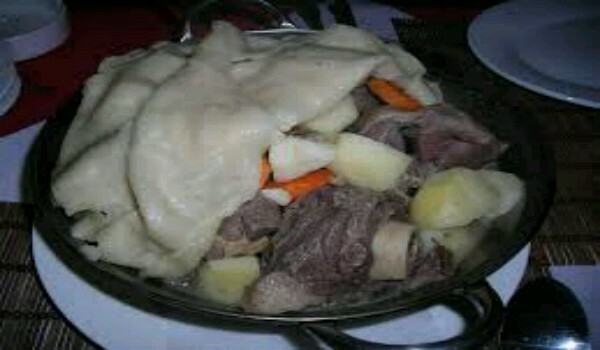 Mongolian Lamb is a famous main course dish from Mongolia. Learn how to make/prepare Mongolian Lamb by following this easy recipe. Qutab is a very popular recipe. Learn how to make/prepare Sanbusa by following this easy recipe. Millet-Sweet Potato Congee is a traditional porridge, served for breakfast or as a side dish. Learn how to make/prepare Millet-Sweet Potato Congee by following this easy recipe. Mongolian Beef is a tasty and delicious traditional Mongolian preparation. 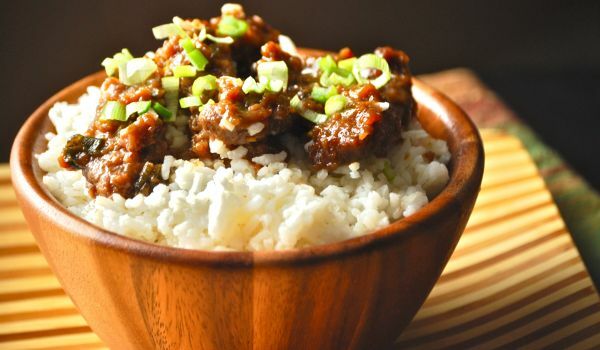 Learn how to make/prepare Mongolian Beef by following this easy recipe. Mongolian Lamb Chops is an easy to prepare dinner dish. Learn how to make/prepare Mongolian Lamb Chops by following this easy recipe. Scrambled Eggs with Flavor is a very popular recipe. Learn how to make/prepare Scrambled Eggs with Flavor by following this easy recipe.